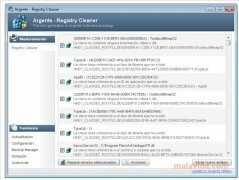 Argente Registry Cleaner is a program that has been developed to be able to remove erroneous entries from the Windows Registry file and, thus, be able to improve the performance of any computer by purging the entries of this element of the operating system. 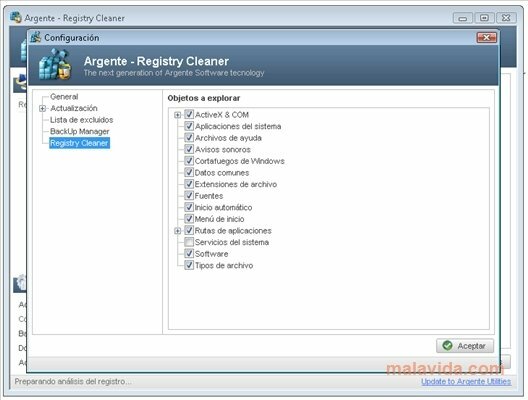 - Basic mode: Ideal for those people that simply want to improve the status of the registry with a couple of clicks. - Normal mode: That will perform a somewhat more thorough search and will allow you to select the results that you want to eliminate. - In-depth mode: That is based on an in-depth analysis, with the objective of finding each small error. The program's interface is very easy-to-use, something that users without great knowledge of computing will surely be grateful for. 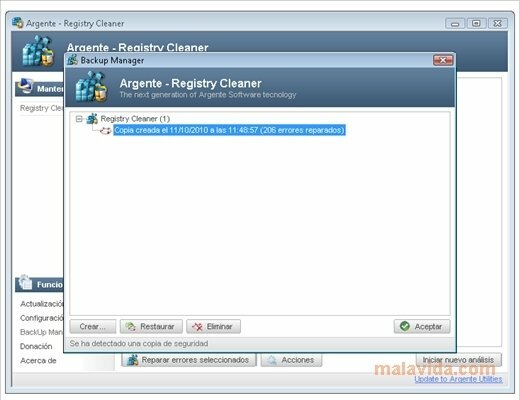 The application also has a utility with which you can perform backups of the Registry file. Download Argente Registry Cleaner and discover one of the most complete solutions to optimize the Windows Registry.